It is competition time and its with The British Herb Kitchen! The British Herb Kitchen is on a mission to bring British herbs back to our tables. What do they mean by British herbs? They mean the wonderful array of delicious and nutritious herbs that used to be grown in our soil, in our climate through Roman, Medieval,Elizabethan times. Somewhere along the line they fell from grace to be replaced by just six or eight supermarket standards. Join Victoria at The British Herb Kitchen and get to know our once great British herbs. Through the British Herb Kitchen blog she will bring you recipes, growing tips, health benefits and a little bit of quirky history. She will also be showcasing some of the best of our British artisan products, from all corners of the British Isles. Each month they’ll celebrate one particular British herb. For their celebrity ‘Herb of the Month’ Victoria will share info on how to cook with it, how to source it or grow it, and lots of other good stuff. 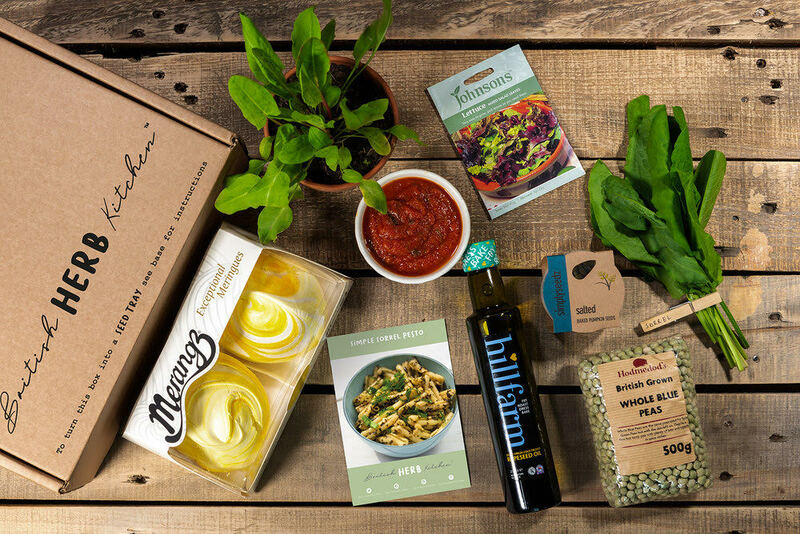 I am delighted that British Herb Kitchen have given me a July box which showcases delicious but relatively unknown British herbs. Alongside the herbs will be a selection of hand-picked British artisan food and drink from their favourite producers, two recipe cards and menu suggestions on combining the items in the box. The instagram winner will be chosen at random from someone who follows me @SuzyPelta and @britherbkitchen on instagram and who has answered the competition question there. There are no limits to the amount of times you can enter on instagram and each new answer counts as a new entry into the competition. However if you are not following @SuzyPelta AND @britherbkitchen your answer will not count. – The competition starts at 8.13pm on 12th July 2018. – The competition closes at 9pm on 18th July 2018. – The prizes will be delivered by the end of August 2018.